This year’s Washington Humane Society’s annual Sugar & Champagne Affair was a fabulous event for dogs and dog lovers. 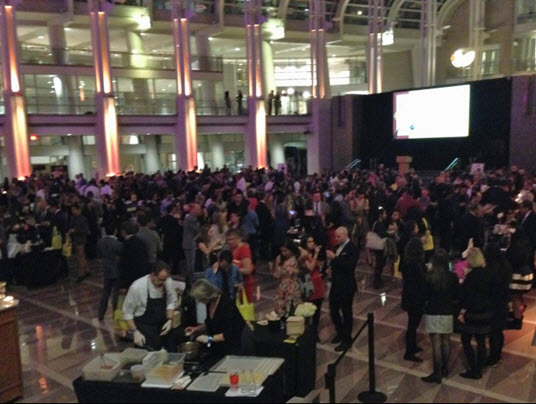 Once again guests and their beloved canines filled the atrium of the Ronald Reagan Building and International Trade Center with all manner of things sweet, sparkly and even savory. After all, we must have a balanced diet. For the 14th straight year many of our area’s preeminent chefs showed off their talents to benefit the Society and pay tribute to their Field Services team who last year responded to over 18,000 calls to help animals in need. 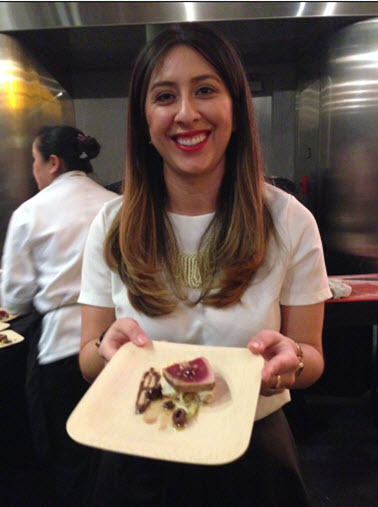 This delicious event that puts the “fun” back in fundraiser, was conceived by Ellen Kassoff Gray. Ellen, who serves as chairwoman of the host committee, co-hosted the posh event along with husband and uber chef Todd Gray. Together the DC power couple own Equinox Restaurant, while Todd doubles his chef duties as Culinary Director of the Salamander Resort & Spa in the tony horse country of Middleburg, VA.
As always many of the attendees were of the adorable canine sort. Pooches of all stripes, some dressed to the nines and others au naturel, strutted their stuff to the delight of the guests. The main event was a reception in the atrium featuring scrumptious desserts. Event sponsors TCMA, Volkswagen, Equinox, Salamander Hotels & Resorts, The Sugar Association, Olde Towne Pet Resort, Social Light and Chef’s Roll were supported by media sponsors Zohar Rom’s Portfolio, The Virginia Maryland Dog, NOVADog Magazine, Travelzoo, Bisnow, Yelp and The Hill. Tidbits and libations from dozens of restaurants, bars and bakeries came from The Source by Wolfgang Puck, Poste Modern Brasserie, Plume, Baklava Couture, Shake Shack, Sticky Fingers Bakery, Society Fair, The Hamilton, Bastille, Hank’s Oyster Bar, Lilly Magilly’s Cupcakery, Occidental, Bearnaise, Co Co. Sala, The Dairy Godmother, Dolci Gelati, Brasserie Beck and a host of other well-known spots. A VIP room offered savory tastings and craft cocktails. New this year was the “Exclusive Experience” a chance for a limited number of guests to learn how to make desserts, create specialty cocktails and watch unusual demonstrations such as how to make “dip-n-dots” using liquid nitrogen. One of the most memorable pastry displays was designed by the kitchen staff of the International Trade Center whose talented crew is known for creating miniature dessert masterpieces. They deserved to take a “bowwow” for their pâte à choux Animal Park that perfectly fit the evening’s theme. Using the versatile, classic French pastry dough, best known to most dessert lovers as the crusty part of the éclair, they fashioned a “Puff Poodle,” “Choux aux Kitty,” “Vanilla Pooch Puff” and lots more pup-themed treats. Be sure to keep a slot open on your calendar for the 2016 Sugar & Champagne Affair. It’s a worthy cause and a rollicking good time for you and your four-legged friends.